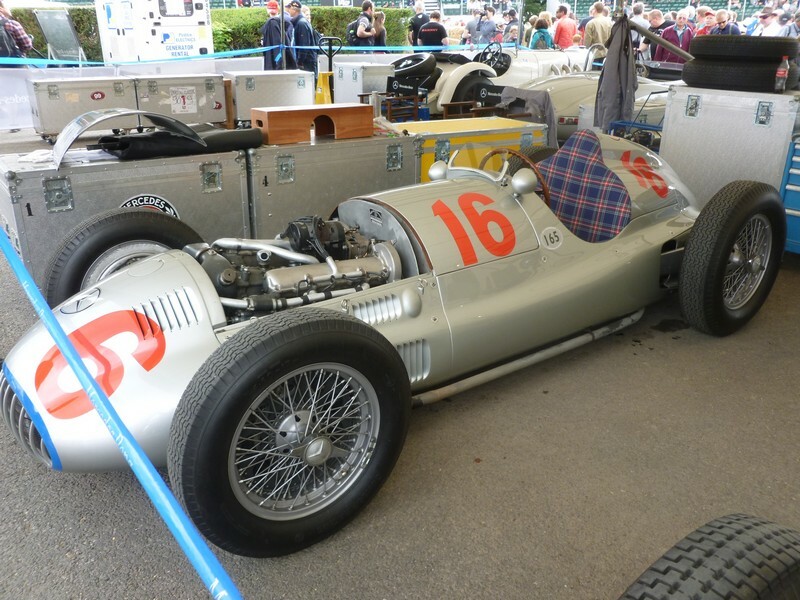 Throughout the 1930’s, the German Mercedes Benz and Auto Union ‘Silver Arrows’ cars were an unbeatable force in Grand Prix racing. The W165 racing car with it’s 1.5 litre V8 engine was developed by Mercedes-Benz for a single race – the 1939 Tripoli Grand Prix in Mellaha (Libya), then part of Italy. In those days the Tripoli Grand prix was a prestigious event in a prosperous Libya. The Italian officials issued special regulations for the 1939 race in the Italian colony. The entrants were to be limited to the ‘voiturette formula’ for supercharged 1.5 litre engines. 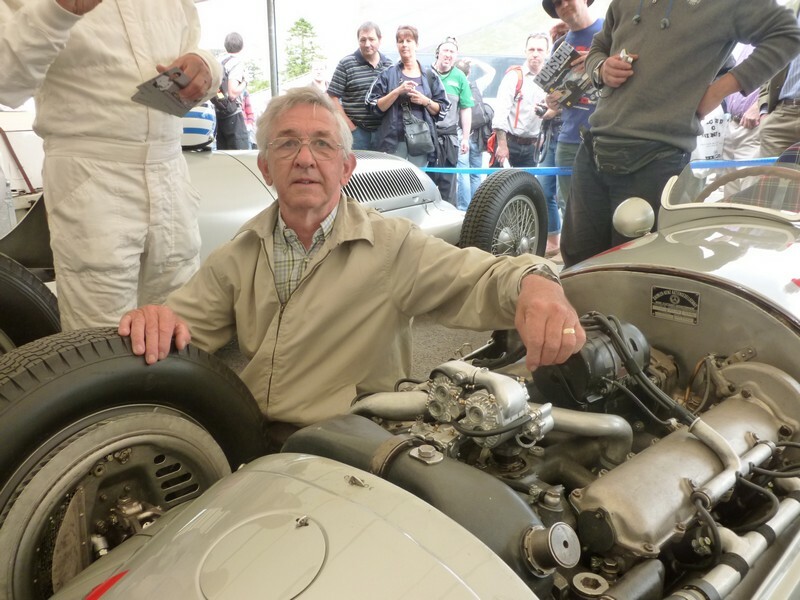 The intention was to sideline the German competitors, because both Mercedes-Benz (Tripoli winners in 1935, 1937 and 1938) and Auto Union (winners in 1936) had powerful 3.0 litre engines and thought not able to present a racing car for this class. The managing director of Mercedes-Benz, Max Sailor, accepted the challenge and set the factory to work day and night to build two cars. The Untertürkheim plant was off limits to anyone without a special pass. They were left with the impossible task of developing cars in just eight months in time for the Tripoli Grand Prix. What emerged was the type W165, a scaled down version of their highly successful 3.0 litre Grand Prix cars. In many design details, the W165 was based on the then current V12, 3-litre W154 Grand Prix car. The mechanically supercharged V8 had a displacement of 1,493 cc delivered 187 (254hp) at 8,000 rpm, and reached a top speed of 272km/h (160 mph) powered by a cocktail of alcohol, nitrobenzene, ether and acetone. The development team under Rudolf Uhlenhaut achieved miracles. Two Mercedes-Benz W165 cars started the race in Tripoli on 7 May 1939, against an overwhelming number of competitors – 28 red-painted Alfa Romeo and Maserati voiturette racing cars. The W165’s achieved a triumphant double victory. Herman Lang won the spectacular, high speed, race for the third time, Rudolf Caracciola finished second, while the fastest Italian car with Emilio Villoresi at the wheel, crossed the finish line a good four minutes later. It was to be their only victory, indeed their only race. Shortly after, war broke out in Europe, bringing motor racing to a halt for many years. Both cars survived the hostilities in neutral Switzerland and were eventually returned to MB. Motor racing would resume after the end of the war. Grand Prix racing was to run under the new Formula 1 regulations, which permitted either 1.5 litre supercharged or 4.5 litre un-supercharged engines. 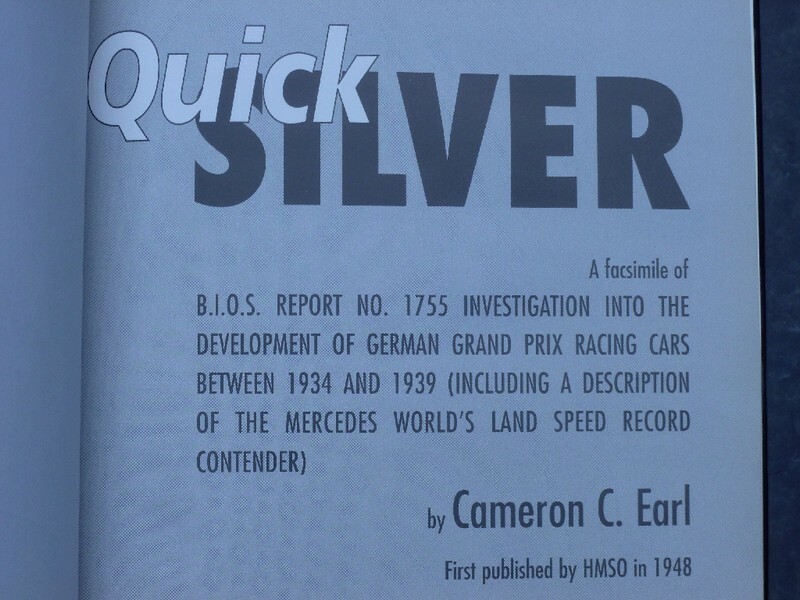 After the war, a young British engineer, Cameron Earl, was sent to occupied Germany by the British Intelligence Objectives Sub committee (BIOS) to investigate and report on the development of Grand Prix racing cars before the war. The finished report, BIOS Report 1755, contained many detailed Mercedes-Benz blueprints of the W165 car and it’s 1.5 litre engine. The report was made available to the British motor industry and greatly influenced the design of the BRM V16, 1.5 litre, Grand Prix car. 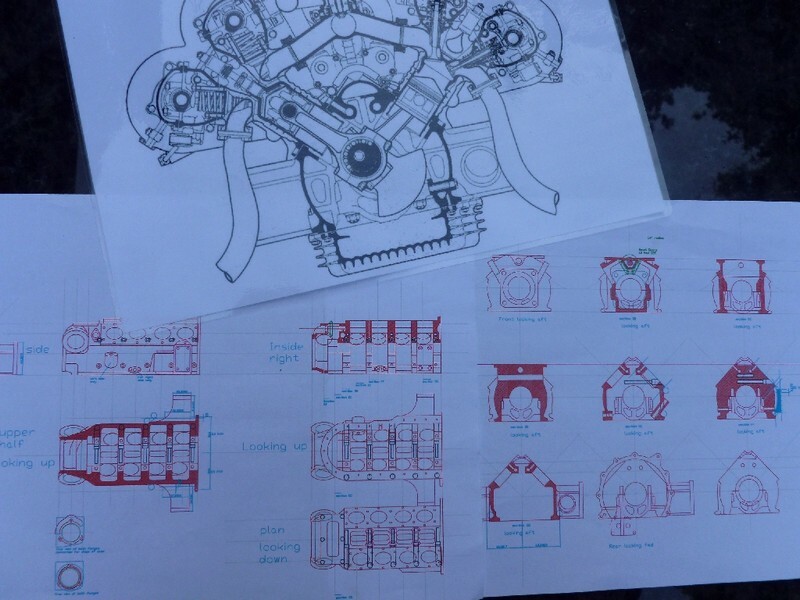 I have obtained a copy of the British Intelligence report and have used the Mercedes-Benz blueprints as the basis of my CAD drawings for my 1:3 scale models of the W165 engine. 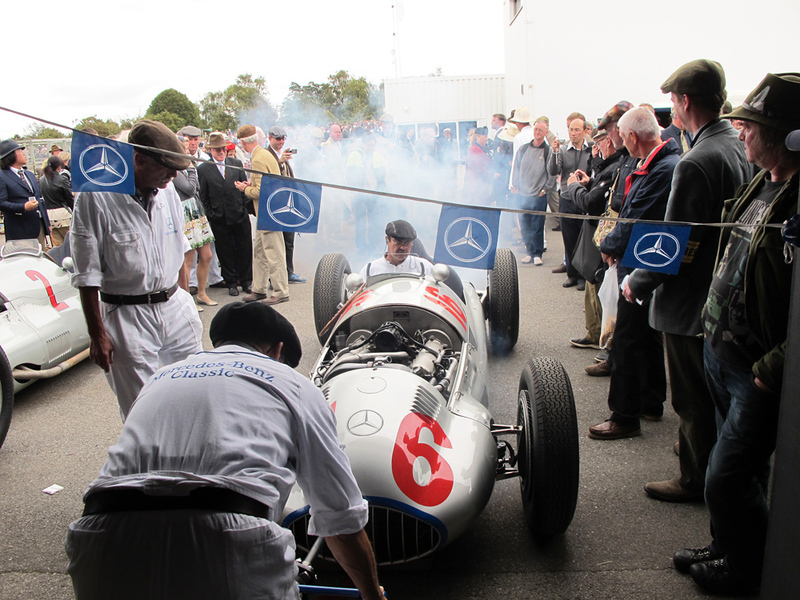 Today, some 75 years after it was designed, the W165 engine is still an exciting engine, a technical masterpiece. That's my 1/3 scale Supercharger sitting on top of the real thing. 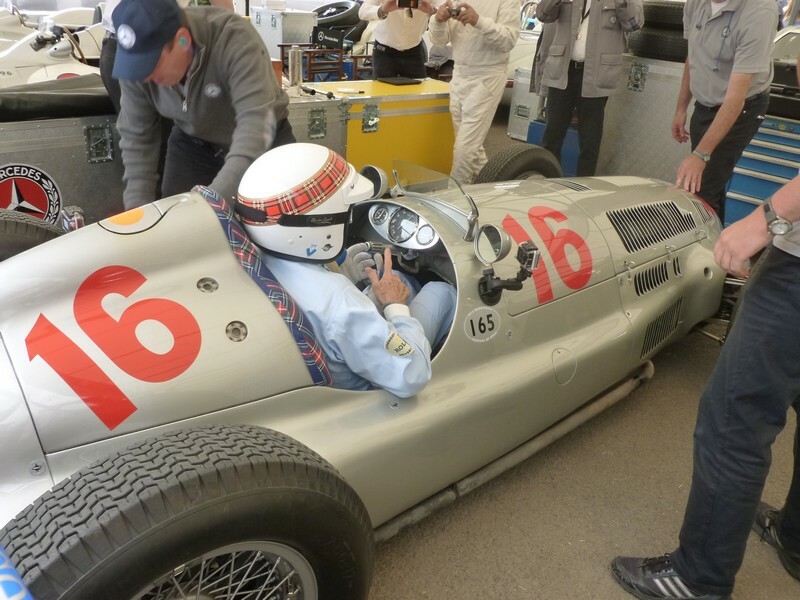 The driver in the white helmet with the tartan band is non other than Sir Jackie Stuart. 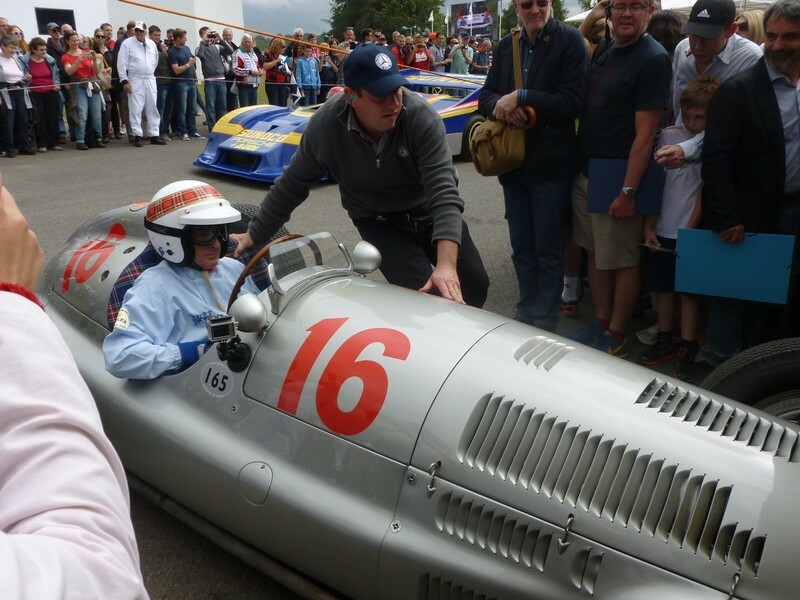 He was the guest driver for the only running W165 at last years Goodwood Festival of Speed. The only other surviving W165 is on permanent display in the MB museum in Stuttgart. Hi Mike, thanks for reminding me of the history of this great race car. Waiting for the next steps of your build report. Looking forward to this one as well. Should be a great build log!! I too am looking forward to this build. I have had the great privilege of sitting in the W165! Simon, Do you happen to work for a certain car company in Northants? Yes - the last two years after the Festival of Speed they've brought the cars up to the factory and fired them up in the car park. Chatting to one of the MB classic team they are now running the cars so much that their stock of original parts is getting depleted and they are having to remake some bits. 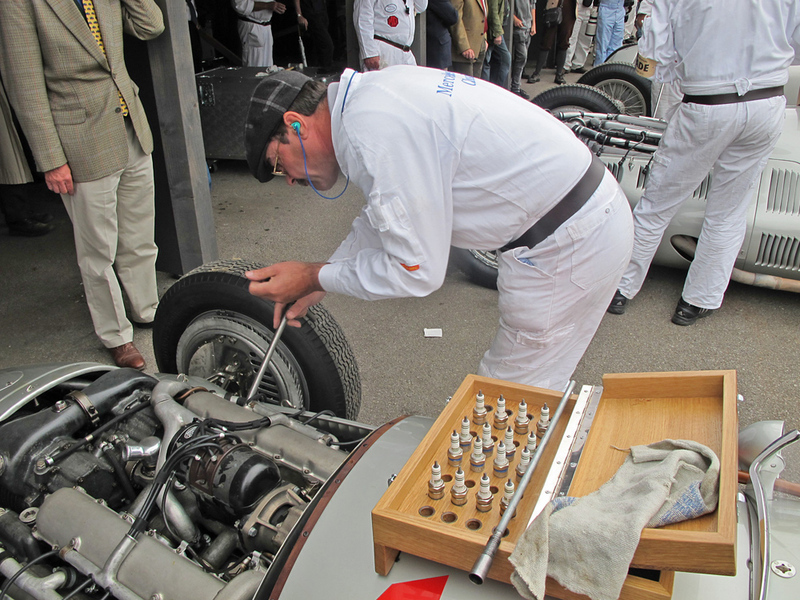 Apparently the desmodromic valves from the 300SLR proved quite a challenge for Mercedes HPP at Brixworth! Looking forward to this build as well! I along with all the rest am looking forward to this build. The British Intelligence report was published and made public by HMSO in 1948 as a book aptly titled ‘Quick Silver’. Copies of this book are still readily available. Cameron Earl, the report author, had free access to the Mercedes-Benz organisation in Stuttgart, located in the zone controlled by the Allies. The Auto Union facilities were in the Russian zone. Even by 1947 relations between east and west were deterioration, so access was denied. Cameron Earl, a keen racing driver, made good use of his time in Germany, interviewing and collecting valuable documentation from MB and leading material suppliers. Earl was well aware of the proposed Formula 1 regulations for supercharged 1.5 litre engines. 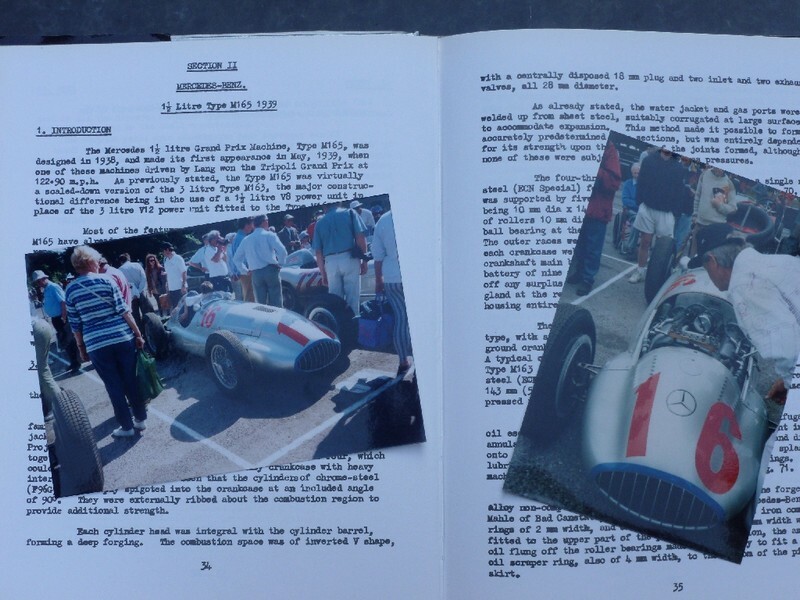 He therefore concentrated upon the Tripoli GP winning W165, and acquired many of the MB blueprints detailing the engine, transmission, steering, suspension and chassis. These prints were the obvious starting point for my project. I am a lifelong user of AutoCAD. 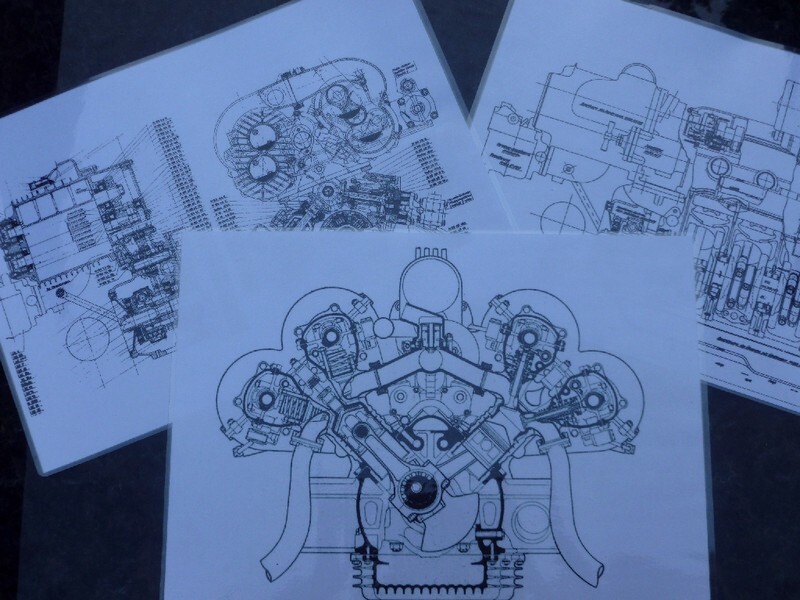 I only design and draw in 2D, because that it all I require to make engines. I discovered a way to import a scanned image as a bitmap (BMP) into AutoCAD. The BMP image is on it’s own layer and can be stretched to fit any desired scale. Just remember to freeze the layer when it is to the correct size. The scanned images from Earl’s report were the best (and remain the only) information available. Using the AutoCAD drawing tools, it is then possible to painstakingly trace the outlines each component over the BMP images. The process takes me months but results in a trustworthy overall assembly drawing with the interface between each component clearly defined. The original BMP layer can be turned off and the relevant piece parts copied to separate manufacturing drawings for the individual component. I find this drawing work very enjoyable and a pleasant way to spend the long winter’s evenings when it is too cold to venture out into the machine shop. 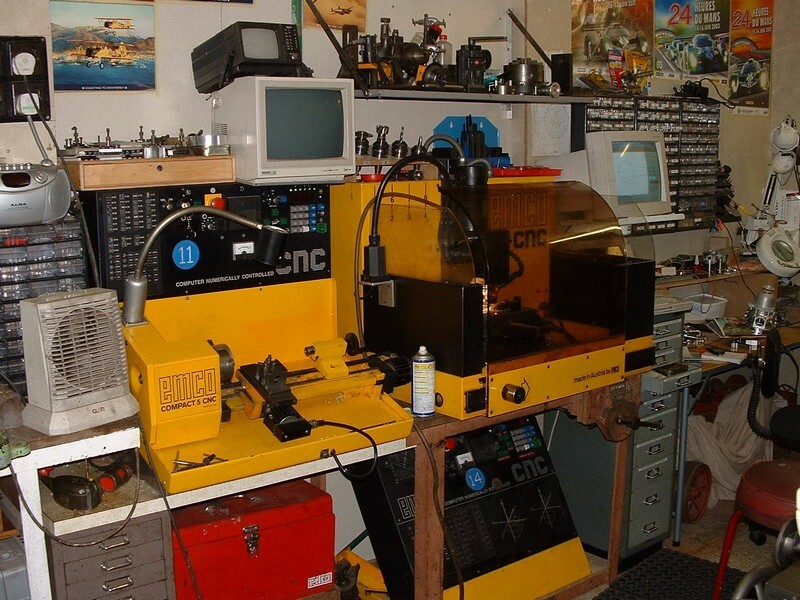 My machine shop is almost entirely outfitted with CNC machines. My Emco Compact 5 CNC lathe and Emco F1 CNC mill were once the property of Her Majesty's Prison Service at Parkhurst Prison in the Isle of Wight, home to some very ‘tough nuts’. The machines were used in a vain attempt to retrain the criminals for a better future. Eventually, these old 1980’s technology machines were removed for disposal. I was the lucky guy who got to buy them. I stripped out and updated the ancient electronics and stepper motors with readily available modern stuff. I have used these old machines for over 15 years to produce a number of engines and other projects. It could be true what they say about the sweetest music coming from the oldest violins. 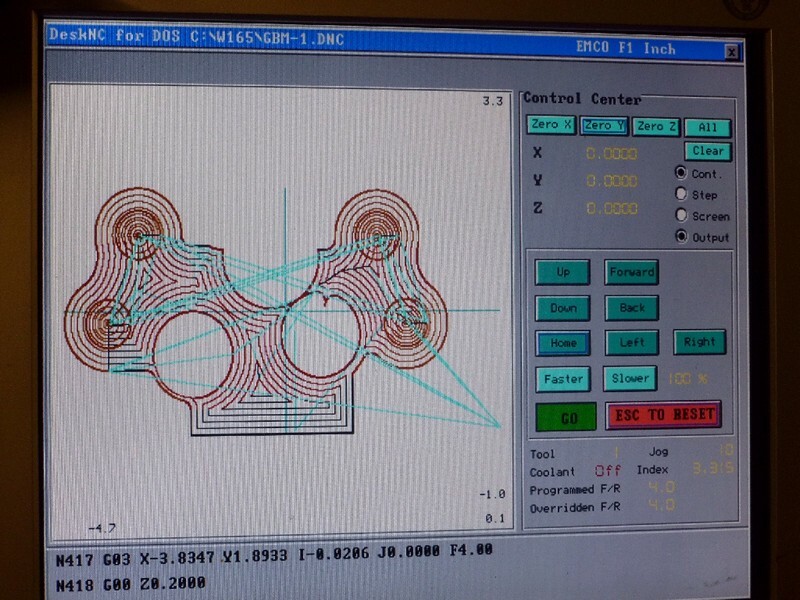 Every CNC machine needs a list of tool path commands to function. I use Desk NC to interpret G-Code instructions and move the tool around. I also use DesKAM to help create the toolpath commands in G-Code. I can export an outline shape from AutoCAD into DesKAM, I define the cutter size, depth of cut, step over dimension, feed and speed and the program works out the necessary toolpath. After that it is as simple as bolting down a block of stock material and pressing the ‘GO’ button. Oh! I wish it were really that simple. Ha ha. Hi Mike, thanks for taking the time to explaine the details of the scource for your special design. Bad Behavior has blocked 16926 access attempts in the last 7 days.